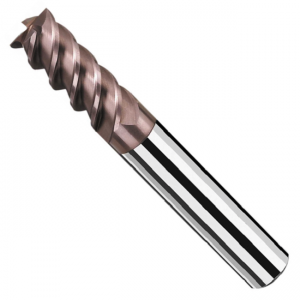 With carbide end mill high-speed milling, indexable end mill milling stainless steel can achieve good results. The geometry parameters are gf = 5 °, gp = 15 °, af = 15 °, ap = 5 °, kr = 55 °, k’r = 35 °, g01 = -30 °, and the geometric parameters are 1Cr18Ni9Ti , Bg = 0.4mm, re = 6mm, when Vc = 50 ~ 90m / min, Vf = 630 ~ 750mm / min, a’p = 2 ~ 6mm and the feed per tooth reaches 0.4 ~ 0.8mm, the milling force decreases Small 10% to 15%, 44% reduction in milling power, efficiency is also greatly improved. 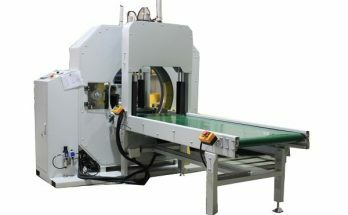 The principle is in the main cutting edge grinding on the negative chamfering, milling artificially produced BUE, making it instead of the cutting edge for cutting, the accumulation of the front of the chip gb up to 20 ~ ~ 302, due to the main declination Effect, the chip is affected by a rake face parallel to the cutting edge of the thrust of the role of the paralyzer outflow, which took away the cutting heat, reducing the cutting temperature. 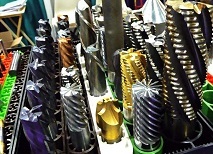 Milling stainless steel, as far as possible should be used to smooth milling processing. The asymmetric smoothing method ensures that the cutting edge is smoothly cut off from the metal. The contact area of the chip bond is small and is easily removed under the action of the high-speed centrifugal force to prevent the chip from striking the blade before re-cutting the workpiece Peeling and chipping phenomenon, improve the durability of the tool. Stainless steel widely used in the car processing, milling, drilling, tapping which can be encountered. But because the stainless steel with other general material is not the same characteristics, so the processing of stainless steel technology personnel as a no small problem!